There are days on the People’s Wire – that’s The Canadian Press to you – that are really quiet, where we focus on Canadianizing stories from the Associated Press and crafting small, quick stories of our own. But then there are days like yesterday when we live on the phone, recording conference calls, working from news releases and hunting down stories. 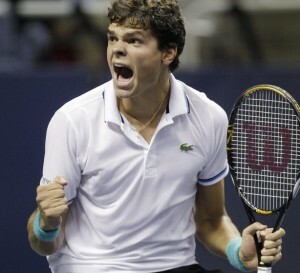 Over the weekend Milos Raonic was named the ATP Tour’s Newcomer of the Year. I put together a story on it and contacted Tennis Canada to ask if they’d have any media availability with the Thornhill, Ont., native. Raonic wasn’t immediately available, but the PR person assured me he’d have a conference call on yesterday. Sure enough, when I came in to work my boss Neil Davidson had printed off Tennis Canada’s notice about Raonic’s availability. I hopped on the call, rolling tape for radio stations on our broadcast wire and to refer to for colour on this story. It took a few drafts, but we got the Raonic story to a good place and it started spreading across the Internet. It was soon overshadowed though. The American League’s Most Valuable Player was named yesterday afternoon, with starting pitcher Justin Verlander of the Detroit Tigers – already the AL’s Cy Young winner for the season – getting the nod from the Baseball Writers’ Association of America. Verlander beat out Boston Red Sox fielder Jacoby Ellsbury and Toronto Blue Jays right-fielder Jose Bautista. Oddly, Bautista decided to hold a news conference from his home in the Dominican Republic. It was a strange move because, usually, pro athletes quietly nod and say “so-and-so had a great season” when they miss out on major awards. They may be pissed, but they hide that disappointment from the media for fear of looking like a sore loser. He angrily made a case for why he or Ellsbury should’ve won the MVP award instead of Verlander. Bautista’s two major points were that Verlander didn’t play every day – an implicit qualification for the award – and that he was passed over for the honour because he played for the Blue Jays, a team far out of playoff contention in the fall. Again, I had to write a full-length feature story (almost 800 words exactly) in just over an hour’s time. Cranking out two features in a day would be stressful at the best of times, but I was also writing regular broadcast sports bulletins and doing other stories as well. It was a hectic day on the desk. Naturally, an all-star player like Bautista complaining about an MVP snub made big waves, with several outlets putting the story online. Yahoo Sports’ Jeff Passan even cited the story in one of his stories. This morning, on a hunch, I bought the print edition of the Globe and Mail, assuming that my Bautista story would make the Toronto edition. 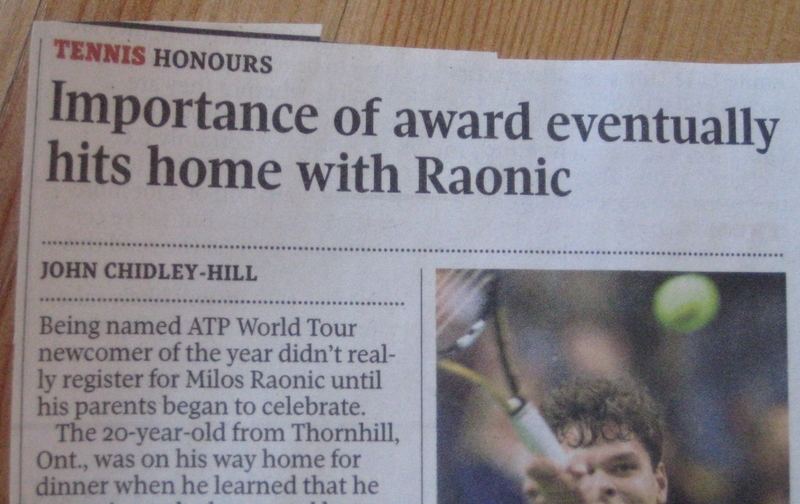 It didn’t – but my Raonic piece did. Here's a photo of the only story that has ever made it onto my fridge door at home. A big part of working desk shifts is listening in on conference calls with athletes, coaches and managers. Today I sat in on a call with Toronto Blue Jays general manager Alex Anthopoulos. The team had set up the call after the Jays signed the club option for infielder Edwin Encarnacion and let relief pitcher Jon Rauch, amongst others, become free agents. A link to my article is below. 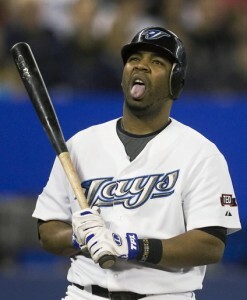 TORONTO - Edwin Encarnacion is going to be a jack of all trades for the Toronto Blue Jays next season. General manager Alex Anthopoulos said Tuesday that the 28-year-old infielder is going to spend more time as a designated hitter and even play some games in the outfield. "The fact that Edwin can play multiple positions, and now he's going to be playing some left field in winter ball as well, will open up some flexibility," Anthopoulos told a media conference call. "As we sit here today, the role would primarily be DH but we like he can play some first, play some third and we'd like to find out a little bit more about him in left field." Twitter debuted “Twitter for Newsrooms” on Monday as an online guide for journalists on how to best use the social networking site. It focuses on enhancing the quality of online content as well as the quick dissemination of that content to a wider audience. I think this is a great idea. As long time readers of this blog know, I’ve been a fan of Twitter for years and I regularly use it to promote my own writing and as a forum for my alleged wit. There’s no better way to keep track of breaking news stories. I’ve learned about dozens of trades through the Trending Topics feature and have often learned about other hot stories through Twitter. In fact, most of the feature stories I read I’ve discover through Twitter. In other words, I’m really looking forward to exploring TfN. Coincidentally, the Canadian Press had been using Twitter as a source for quotes for some time, taking the tweets of athletes (or politicians or whoever) from verified accounts to add colour to our news stories. Recently, CP’s sports department has composed entire stories from these tweets, adding greater context to developing stories. I’ve written two of these articles. The first was reactions from NHLers (and NBA star Steve Nash) on the pivotal Game 6 of the Stanley Cup final between the Vancouver Canucks and Boston Bruins. Watching Game 6 of the Stanley Cup final brought back some emotional memories for Bret Hedican, something the retired NHL veteran was only too happy to share with the world. Hedican was one of several NHL players, both current and retired, took to the social networking site Twitter on Monday night to weigh in on the Boston Bruins' 5-2 victory over the Vancouver Canucks. On Sunday we applied the same idea to the opening match of FIFA’s Women’s World Cup as Canada took on Germany. As Christine Sinclair scored for Canada’s in its 2-1 loss to Germany at FIFA’s Women’s World Cup on Sunday, fans and players took to Twitter, often tweeting directly at the forward. “@sincy12 That was soooo pretty! Love watching you play! Come on, 1 more! !” said Leslie Osborne, a former player with the U.S. national team and current captain of Women’s Professional Soccer’s Boston Breakers after the strike at the 82nd minute. I think that both articles did well to take advantage of the instant access afforded by Twitter and also allowed for more candid – if horribly written – comments from athletes who’ve been trained to clam up whenever a microphone is in front of them. Hopefully, “Twitter for Newsrooms” helps CP and other news organizations take full advantage of social networking sites. The National Hockey League’s Central Scouting Bureau released its final rankings for draft eligible amateur players on Monday. Not surprisingly, the top three North American skaters were Ryan Nugent-Hopkins, Gabriel Landeskog and Jonathan Huberdeau. But those high picks are only a small part of the draft. What if your team has a low pick, or maybe no picks in the first round, who should you be hoping to get for that instant impact? Who is the sleeper of the 2011 draft? Look no further than Daniel Catenacci of the Sault Ste. Marie Greyhounds. The five-foot-10 skater from Newmarket, Ont., was ranked 37th in the Central Scouting’s final report on domestic skaters, up from 43rd in January's midterm rankings. When you mix in international skaters and goaltenders that means Catenacci could go as late as the third round of the NHL draft on June 24. It’s an understandable fate when you look at the 18-year-old’s numbers from the Ontario Hockey League. Last season he had 26 goals and 45 assists with a minus-5 +/- rating and 117 penalty minutes. The year before that, Catenacci was a non-factor with 10 goals and 20 assists. But Catenacci has a quality that most of his draft classmen lack: speed. The above video is from the Canadian Hockey League Top Prospects game at Toronto’s Air Canada Centre on Jan. 19, when Catenacci put the afterburners on and broke open the scoring for Team Orr while shorthanded. In that video it’s obvious that he’s by far the fastest player on the ice. In fact, he usually is, but that clip is exceptional. The guys in his dust are the best and brightest the CHL has to offer and yet they can’t catch him. Earlier that week I attended the Next Testing session at the Mastercard Centre for Hockey Excellence where the Top Prospects were put through their paces. Dead sprints, agility tests, you name it, they did it. At the Top Prospects skills competition, Catenacci was name the fastest skater, turning in a performance way ahead of the pack. Why does all this matter? Because the thing that strikes most rookies when entering the NHL is the speed of the game. For their entire careers they’ve been one of the top players on their team, if not the best, and that usually includes being the best skater. But coming to the NHL they’ve finally found their level, and that doesn’t hold true anymore. 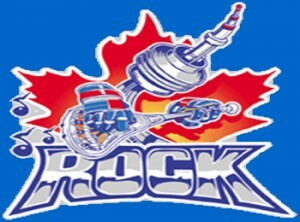 As a result, most rookies spend their first year as a professional trying to improve their skating and catching up to their teammates and opponents. It hurts their vision of the ice and impacts their ability to make plays. Catenacci, presumably, won’t have that kind of trouble, since he should be able to keep pace. His speed will also be an asset as he finds his role in the NHL. After all, what assignments are rookies usually given? Penalty killing, checking lines, defensive work and all with limited ice time. In all three cases, a fast skater will, pardon the pun, excel. Although he’s not the prolific scorer that a Nugent-Hopkins, Landeskog or Huberdeau will be, Daniel Catenacci’s speed is an undeniable advantage that will make him NHL-ready before most of his peers and, hopefully, will increase his value come draft day. Certainly, any team will be lucky to have him on their depth charts. Why is Chris Bosh going to be booed tonight? Chris Bosh doesn't understand how he's angered the city of Toronto. Fans of the Toronto Raptors and Chris Bosh, the former star of the team, have been on a collision course since the National Basketball Association’s schedule was released two months ago. Ever since Bosh announced he was signing with the Miami Heat, fans have been chomping at the bit to heckle and jeer him when he returns to Toronto. The wait is finally over, as Bosh’s Miami Heat will be at the Air Canada Centre tonight. “I’m on another team,’’ he said to the Toronto Sun on Tuesday. “I would like it (to be liked) because that’s like a fairy tale ending or beginning, but that might not be the case. Bosh can hope all he want, but he is going to be booed and heckled every time he steps in Toronto for the rest of his career. He will be subjected to as much vitriol as Vince Carter and Tracy McGrady are even though they’re years removed from their time on the Raptors. Sadly, Bosh will probably never understand why he’s now the target of so much scorn in Toronto. Ironically, the reason for the hatred is the same reason why he left: he doesn’t understand the character of the city. He doesn’t understand that, ultimately, Toronto is a conservative place. I don’t mean conservative in the modern, Glenn Beck, Republican sense, but the classical, small-c libertarian way, with an emphasis on individuality, entrepreneurship and, above all else, work ethic. Founded by Governor John Graves Simcoe in 1793, the city historically stood in contrast to its Gallic cousin to the east, Montreal. Largely inhabited by Protestants of British decent until the 1950s, Toronto’s early civic life focused on being loyal citizens to the crown, devoted members of their church and especially constructive members of the business world. Those three characteristics earned Toronto nicknames likes “the Queen City” and “Toronto the Good”. Jokes about being able to shoot a cannon down Yonge Street on a Saturday night without hitting anyone were common. It was a staid, serious place. Over time, monarchism and religiousness have faded and Toronto has become a more cosmopolitan, multicultural place with a vibrant nightlife. But that dedication to working hard and getting things done has remained at the core of the city. The serious, stoic demeanour of Torontonians is often interpreted amongst other Canadians, perhaps fairly, as aloofness or even arrogance. There’s a coldness to how people carry themselves in Toronto, although defenders of the city would probably call it “walking with purpose”. That indifference translates to the business world: It doesn’t matter who you are or where you’re from, as long as you put your nose to the grindstone and work hard, there’s a place for you in Toronto. It’s that businesslike attitude has made Toronto the most multicultural city on Earth. It’s what makes Ontario’s capital the home of North America’s oldest continuously running Orangeman’s parade, but also allows Toronto to host one of the world’s largest LGBT Pride festivals every summer – the two seemingly contradictory events are held just weeks apart. Toronto’s workmanlike approach to, well, everything, has influenced the city’s sporting culture as well. 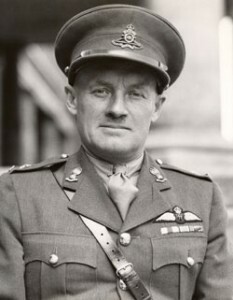 Toronto Maple Leafs founder and owner Conn Smythe, in his uniform from the Second World War. Like most things in Toronto’s sporting history it all starts with Conn Smythe. The founder and long-time owner of the Maple Leafs favoured players who played a tough, relentless style of hockey. His motto of “If you can’t beat ‘em in the alley you won’t beat them on the ice” shaped the identity of the franchise, and set it apart from the free-wheeling finesse play of the rival Montreal Canadiens. Smythe also set the tone for fan behaviour in Toronto, enforcing a strict dress code for fans at Leafs games. There’s a famous story that a wealthy couple rewarded their maid with their seasons tickets for the night. The morning after the game Smythe called the couple’s home, threatening to revoke their passes if anyone in their seats wasn’t wearing a shirt and tie or a proper Sunday dress, because the maid and her date hadn’t met Smythe’s high standards. As a result, Torontonians have little interest in flashy athletes or raucous crowd behaviour. They want to quietly cheer on their teams and reward the players who work the hardest, not necessarily the ones with the best numbers. 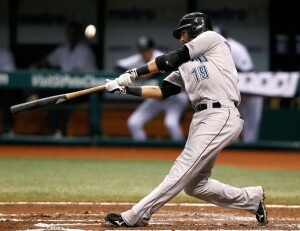 Take the current roster of the Blue Jays as an example. The most enduringly popular baseball player in Toronto this past decade is utility infielder John McDonald, despite his career .239 batting average. I promise you that when the team’s line up is announced on opening day this spring the crowd reaction for perennial bench warmer McDonald will rival that of reigning home run king Jose Bautista. Why? Because when McDonald does play, he puts his heart out on the field. A terrible batter, the 36-year-old veteran has won the love of Jays fans by never quitting on a play, and happily volunteering to do whatever the team needs him to do, including pitch relief or help out as the bullpen catcher. Similarly, the Leafs have had a lengthy list of players renowned for their intensely physical style of play that has earned them the adoration of fans, even though their offensive numbers are far inferior to their contemporaries. Players like Darcy Tucker, Tie Domi, Wendel Clark and Doug Gilmour will forever be deified in Toronto not for any goals they scored or any particularly outstanding play, but for the way they punished anyone who dared step on the ice against the Leafs. Even when a truly gifted and talented player suits up for a Toronto franchise, it takes that same kind of hard-working, detail-oriented approach to win the fans’ devotion. 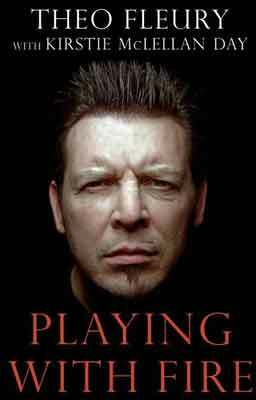 Fortunately for sports fans in the city, the two best players to play in Toronto in the past 20 years are Roy Halladay and Mats Sundin, the quietest and most stoic athletes you can imagine. This brings us to the Raptors and why poor Bosh is going to have hate, and possibly garbage, poured on him at the Air Canada Centre tonight. It has little to do with loyalty – after all, both Halladay and Sundin left Toronto for greener pastures and they’re still beloved – and everything to do with how he left. Whether they can articulate it or not, Torontonians are incensed by Bosh’s apparent rejection of their values. Like Vince Carter before him, Bosh has left the Raptors to seek fame and fortune, to be flashy and find the spotlight of endorsement deals and American media attention. He left the cold, hard streets of Toronto for the glitzy nightlife of South Beach. Worse yet, Bosh spent his last games with the Raptors sitting on the bench, nursing an injury. That is a cardinal sin to Torontonians: he was lazy. Torontonians can understand, even appreciate, Halladay and Sundin leaving to win championships with better clubs - being rewarded for your hard work makes perfect sense to the city. But leaving for nightclubs and the easy life of sunny Florida? That is anathema. It’s a shame, too. Bosh had showed so much promise when he was first drafted by the Raptors. Feature stories and interviews with the young rookie talked about how much work he was planning on doing in the off season. 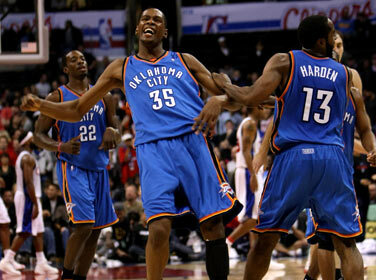 He openly discussed how he had to consume thousands of calories a day to bulk up for the more physical play of the NBA. Bosh liked to read. He was a computer science major in university. In other words, he was perfect for Toronto. Particularly after the disaster that was Carter’s time with the Raptors. Vince Carter's showboatting ways eventually grew tiresome to Raptors fans. After all, Carter was a flashy style-over-substance player who briefly won the hearts of Raptors fans with the franchise’s deepest playoff run to date, only to blow it all by going to his university’s graduation ceremony instead of – that’s right – focussing on the task at hand and giving 100% to his team. But slowly, the love affair between Bosh and Toronto soured. His charming videos of him working out became more self-aggrandizing and egocentric. It was less about industry and more about creating a brand. Bosh had the negative example of Carter to try and avoid, but was also surrounded by positive role models like Matt Bonner, Jerome Williams, Morris Peterson and Jose Calderon. They’re all players who aren’t nearly as talented as Bosh, but who work hard on and off the court and were rewarded with the love and appreciation of the fans. Instead, Bosh has opted to make a cameo on Entourage, film navel-gazing documentaries on getting his first tattoo and make over-the-top appearances with James and Dwyane Wade announcing how many championships they’re going to win with the Heat. Bosh left because he felt like Toronto wasn't the place for him to reach the level, not just on the court, but off of it. He was right. It's no place for someone seeking fame, because they'll never find it here. The city spurns superstars. Raptors fans, the supporters of any sports team in this city, will always favour the quiet, hard-working bench warmer over the flashy star with all the merchandise. 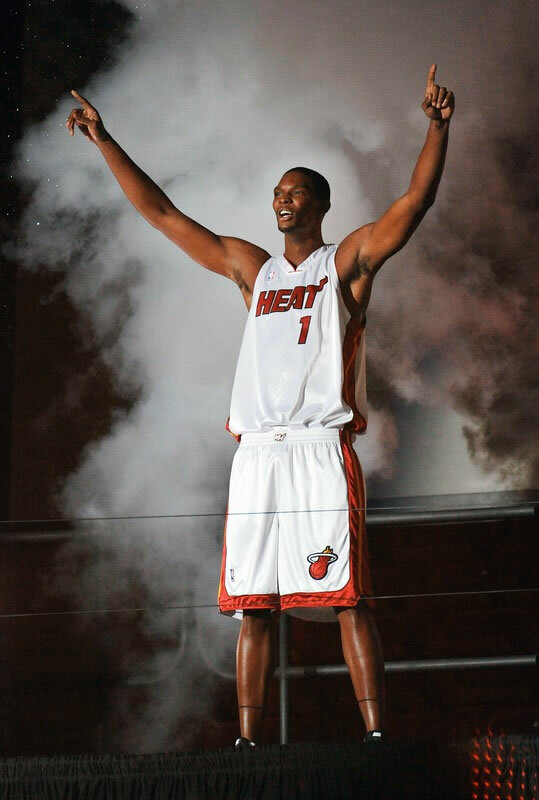 Bosh's vision just couldn't line up with what the city demands of its sports heroes. That's not his fault, or Toronto's, it's just the way it's meant to be. Unfortunately for Bosh, all this adds up to one thing: Toronto is going to show him no mercy. Not necessarily because he betrayed the city’s trust or because he is a bad player or because Raptors fans are particularly spiteful, but because he’s turned his back on the values the city holds most dear. Effort. Hustle. Hard work. Chris Bosh is going to be booed tonight and for the rest of his career because he rejected the core value that governs behaviour in Toronto. He unknowingly struck at the city’s core principle, and Raptors fans will be unable to forgive him for that. Famed soccer analyst Andy Gray grabbed headlines in the United Kingdom and abroad when he was fired by Sky Sports last week for sexist remarks made about a female linesman Sian Massey before a English Premier League match she was scheduled to help officiate. Although Sky Sports’ decision wasn’t necessarily motivated by high-minded ideals about the place of women in professional sports, they undoubtedly made the right move. Gray’s comments (see video above) compounded an off-air incident in December of 2010 where he asked fellow Sky Sports commentator Charlotte Jackson “Charlotte, can you tuck this down here for me?” after lifting up his belt buckle. Yes, Sky Sports has absolutely done the right thing by getting Gray off the airwaves. It’s just a shame that the leading sports network in Britain and Ireland hasn’t taken a more philosophical approach to the dispute. I believe that sports – like other aspects of culture, whether they be literature, music, films, whatever – have the power to create a more inclusive society by inspiring people to greater and greater heights. Any kind of discrimination, even if it’s coming out of the mouth of a beloved figure like Gray, damages that inclusivity and limits the full potential of sports to motivate people. What’s more, including women and visible minorities strengthens soccer – or any sport for that matter. If a linesman like Massey really is good enough to work in the EPL, then she should. If she’s replacing an official who was becoming a little old or too slow or was inconsistent in his calls, then her presence will improve the quality of the games. Isn’t that what the EPL, Sky Sports and the fans of soccer want? Higher-quality matches? I’m confident that Sky Sports dismissed Andy Gray to avoid a lawsuit and to improve the optics of his on camera gaffe. But that dismissal should have more positive effects in the long run than they had ever imagined. Although Gray's dismissal does send the message that there is no room in professional soccer for discrimination, Sky Sports should have been even more decisive when they released him from the network and emphasized how important it is to them to create a more inclusive culture in sports.